In Europe, FCSL is the currently the main service provider for the United Kingdom, Ireland, Portugal, Lithuania and Malta. 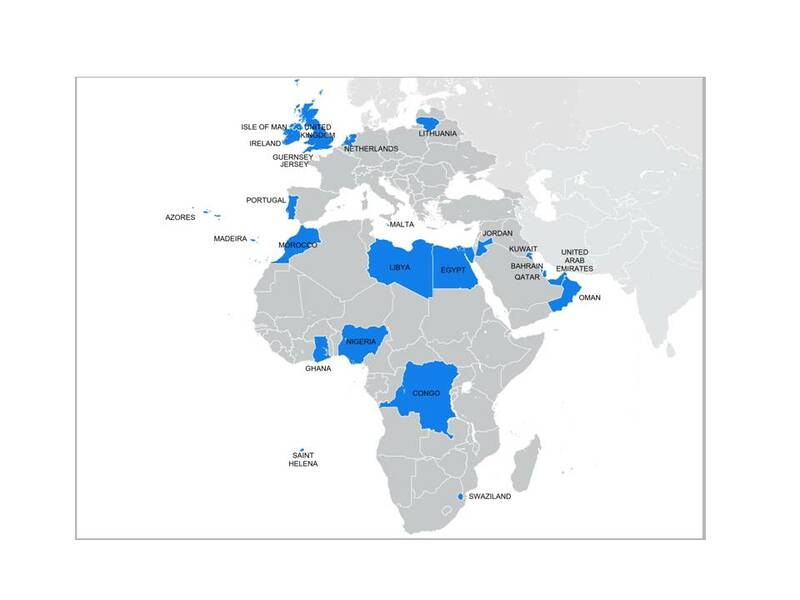 Outside Europe, FCSL operates extensively in the Middle East, Africa and the Caribbean. Two Diamond DA 62s are perminately based in the UAE to eliminate the time and cost of positioning aircraft from/to Europe. This strategic decision has enabled FCSL to provide an improved service availability with a full back-up capability for the Middle East region. Ø Portugal – 3-year service contract for periodic inspection of landing and en-route navaids including Lisbon, Faro, Porto, Madeira and Azores airports. 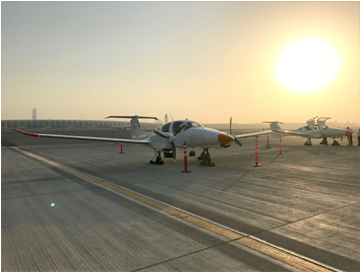 Ø United Arab Emirates – ILS/DME&DVOR/DME scheduled inspections at 9 Airports including Abu Dhabi, Dubai, Al Ain, Sharjah and Fujairah International Airports. Ø Qatar – service contracts for periodic inspection of 6 ILS/DME and 2 DVOR/DME at Hamad and Doha International Airports. RNAV/GNSS procedure validation & obstacle assessment also provided for Hamad International Airport. Ø Oman – 2-year contract for 3 Airports including Muscat International and Sallalah Airports and en-route aids. Ø Jordan – 3-year service contract for ILS, DVOR, PAPIs and Runway Lighting at Queen Alia International, Amman Marka and Aqaba Airports. Ø Egypt – En-route aids and 14 airports including Cairo, Alexandria and Sharm El Sheikh Airports. Ø Libya – En-route aids and 11 airports in including recent ILS Cat II commissioning at Tripoli and Benghazi Airports. Ø Nigeria – ILS and VOR scheduled and commissioning flight inspections at Lagos, Abuja, Kano, Port Harcourt, Kaduna, Bauchi, Sokoto and Enugu Airports. Ø Lithuania – Service contract for periodic inspection of 5 ILS/DME and 3 DVOR/DME at Vilnius, Kaunas & Palanga Airports. Ø Malta – 5-year contract for ILS/DME&DVOR/DME scheduled inspections at Malta international Airport and Gozo.